Starting a successful side hustle is no small feat, but having a solid website is a major component of any successful business. Whether your side hustle is making money with a blog or starting a freelance writing business, a website is a must. It’s how you’ll connect with your target client, showcase your portfolio, and market your services. While you want your website to be professional, you also want it to reflect your personality because it’s a big part of your business. Who you are as a person works in combination with your perspective and morals to guide your business decisions—and that’s totally okay! Who you are is a big part of why you do what you do. It’s the driving force behind your business. When it comes to designing a website, it’s easy to find yourself feeling overwhelmed and tempted to hire a web design company. 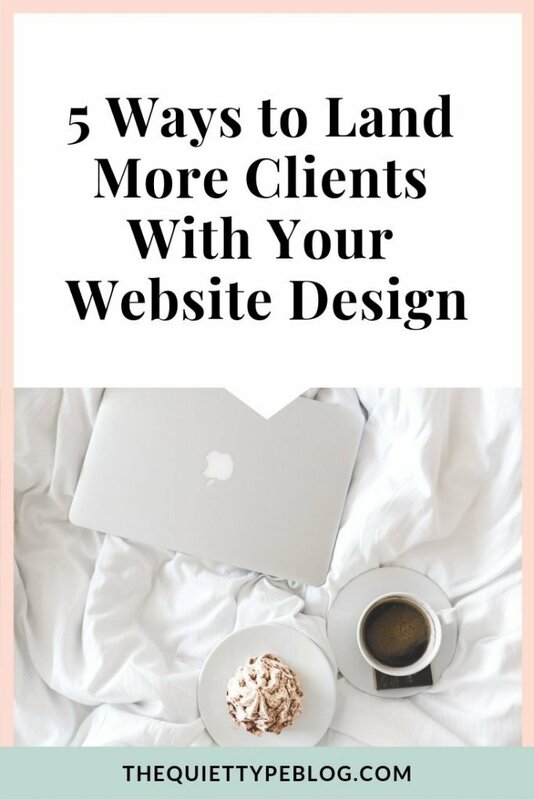 But, setting up your website doesn’t have to be a big hassle. Thanks to a web host like SiteGround and the simplicity of the WordPress content management system, the process becomes a lot less complicated. As a bonus, you can get web hosting for just $3.95/month using this link+ a free domain name (a $15 value). Still, there are a lot of elements to consider when designing your website. From colors and fonts to images and website navigation, it’s a lot to take in. Women have a tendency to lean away from more masculine features like cold, hard lines and dull colors. Instead, they opt for softer touches like handwritten and script fonts, bright colors, and feminine stock photos. But how do you create the right blend of your personality and professionalism? 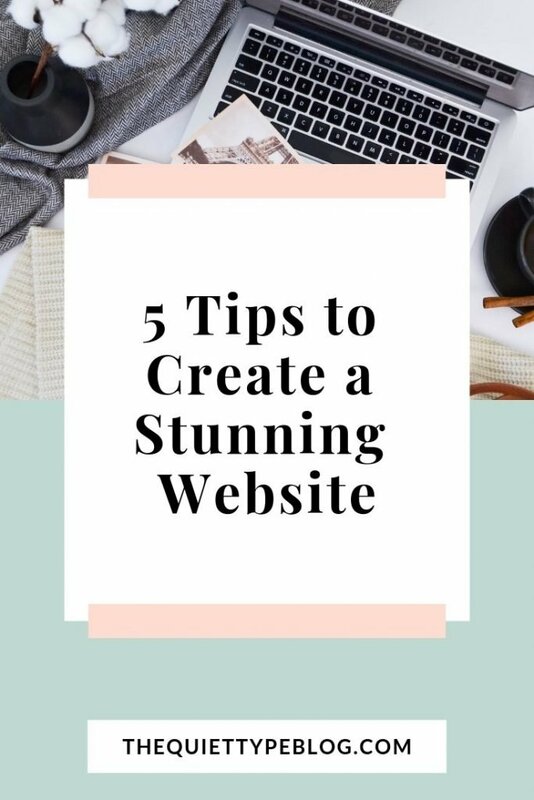 Here are 5 tips to help you create a website that showcases your talent, reflects your brand, and incorporates your personality. Note: This post contains affiliate links. If you choose to make a purchase using one of my links, I may receive a small commission at no extra cost to you. Learn more here. 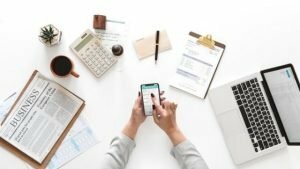 In order to connect with your target client or audience, they need to find you relatable in some way. To do that, share your story. It’s important to note that when I say share your story, I don’t mean your life story. What I mean is tell people about you as it pertains to your business. By focusing on your brand story, you’re essentially selling your services to your client. To wrap it up, pepper in a few personal details to help them feel a personal connection to you. There are two primary places to share your story on your website: your home page and your about page. Your home page should include a condensed version of your story while your about page can be more in-depth. One of my favorite examples comes from Jenna Kutcher’s home page. It can be tempting to use your favorite colors on your website, but this doesn’t always work. Certain colors don’t pair well together and can make content difficult to read. On the flipside, they may look great on your website but don’t translate on printed materials or office materials. When picking colors for your website, building a cohesive color palette is important. Don’t be afraid to branch out, though! A lot of the time, feminine gets confused with frilly pinks and purples, but don’t feel like you have to conform to that standard. Focus instead on a simple, clean design, with creative elements and personal touches. If you want to use a bold color, choose one, and then team it with lighter shades of the same, and another color that compliments it. Having a website that is easy to read is a key factor in looking professional. A white background creates the right canvas for your chosen color scheme to pop! Selecting a darker hue for your main body text helps with readability, too. The navigation is vital to your website because it determines how visitors flow from one piece of content to the next. So, when setting up your navigation keep your target client in mind. For instance, if your target client is predominantly female, it’s important to know women tend to surf the web with purpose. Most women, especially those balancing a side hustle with a full-time job, are short on time. They’re surfing the web on their lunch breaks, while multi-tasking, or in between clients. When they’re online, chances are they’re looking for something specific. That means your website needs to be easy to navigate to maximize the change of converting them from a prospect to a client. 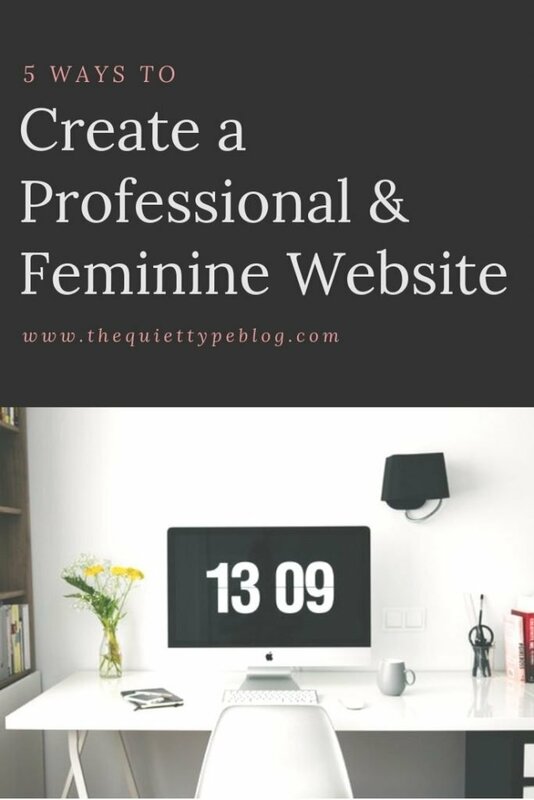 The fonts you choose are crucial to creating a professional website. If you’re anything like me, you’re attracted to cursive, handwritten fonts! I just love the way handwritten fonts flow and they definitely add a sophisticated element when done right. While handwritten and script fonts are beautiful, they should be limited to headers, titles, and logos. Large blocks of text utilizing these fonts are hard to read, so pairing them with clear, easy to read fonts is the way to go. Each element of your website should work to create a cohesive feel that properly reflects your brand. By trying to incorporate too much at once, it can leave visitors feeling put off and confused. Instead, stick with consistent colors and fonts within your website’s pages. When adding images to your site, make sure they help to convey the message you’re trying to send. 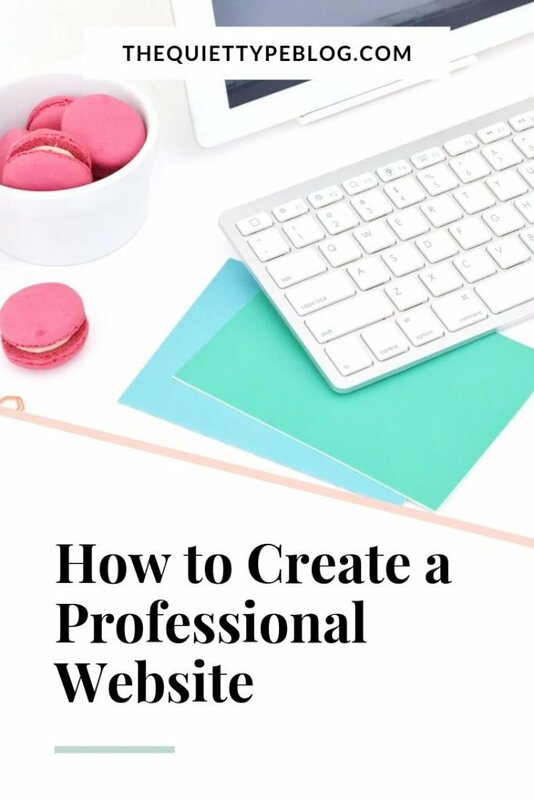 Now that you have a solid base, you can get started creating your website! If you get stuck, take a moment or two to surf the web for some inspiration. Building a website takes some time and you’ll probably continue to tweak it here and there as time goes on. That’s okay! The important thing is having a professional website to sell your services to potential clients. 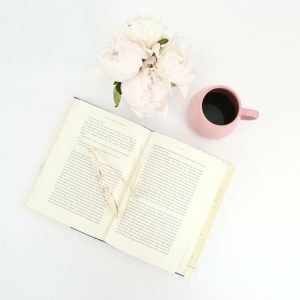 I stumbled onto your blog via Pinterest, and I absolutely love it! 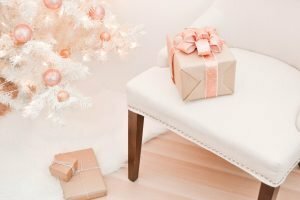 I’ve taken your tips in this post to heart and applied a few to my own blog. Thank you, and I’ll be back.